Fusion power is based on the fusion of deuterium with tritium creating He-4 and releasing a significant amount of energy. Special attention must be paid to the production systems, the test blanket modules (TBM) and the auxiliary recovery systems. TBMs are the units used for tritium generation and they are accompanied by ancillary systems that recover the generated tritium. 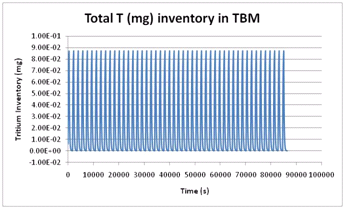 The global system is the TBS, and can be simulated using TRITIUM_TBM toolkit. 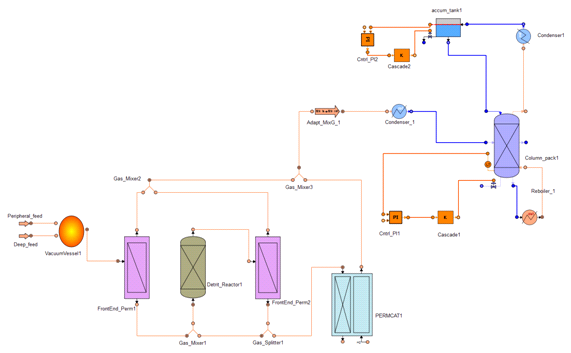 This toolkit includes the main elements needed for modeling TBS, which are continuously reviewed and enhanced in order to include additional effects or add more detail to the existing components, as well as to adjust the model to the increasing level of definition of these systems. Additional components used in ancillary systems for special equipment: TEU (tritium Extraction Unit), Pebble, etc. Generation rate and profile can be easily modified. Auxiliary systems: equilibrators, heat exchangers, etc. to provide the library with components representing additional units, such as WDS, currently under development. to correct minor errors found after the version was delivered and to enhance the usability of the toolkit according to the users’ requirements. Tritium is generated (in back to back pulses) inside the HCPB, in the Pebbles encapsulated inside the TBM-HCPB component. 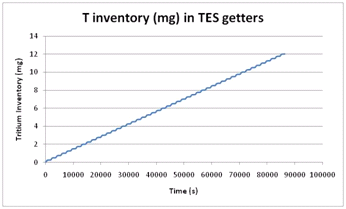 The purge gas drives tritium to the TES where it is adsorbed in getter beds. Additionally, the TBM is cooled by Helium that needs to be purified in the HCS and CPS for extracting the tritium that has permeated through the TBM walls. The following plots show the tritium inventory evolution in some elements of this TBS. Two streams containing deuterium and tritium feed the vacuum vessel (peripheral and deep feeds). A part of the tritium and deuterium is consumed in the reaction but there is a portion that leaves the vacuum vessel. 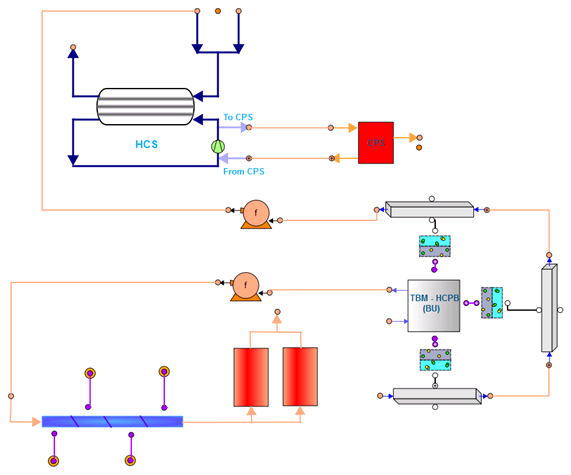 A system of permeators and reactors (TEP) followed by a cryogenic distillation extract and separate the hydrogen isotope solved in the vacuum vessel exhaust gases. 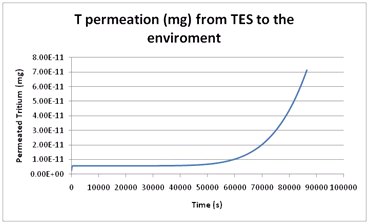 The following picture shows the concentration profile in TEP, each plot representing a different specie.